Wizard School inspires curiosity and creative thinking. Explore and create with your family and friends. Wizard School, previously known as WonderBox, inspires curiosity and creative thinking. 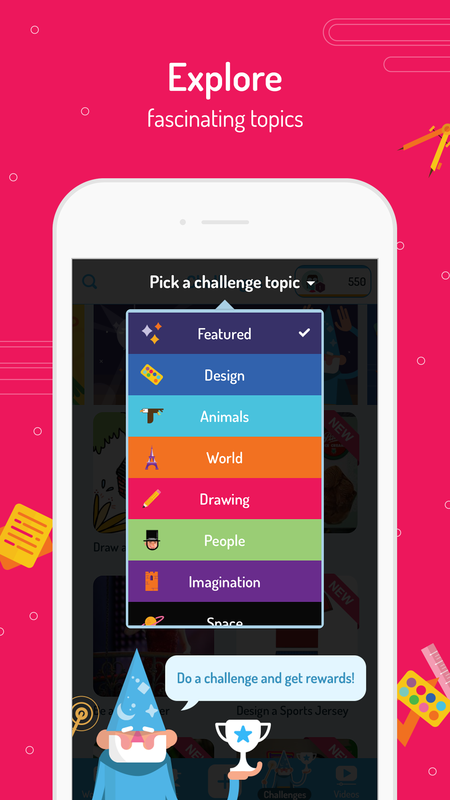 Explore fascinating topics – science, design, languages, animals, geography, sports and more! Create something awesome to share with family and friends in a safe environment. EXPLORE: fascinating topics, such as science, design, languages, geography, and sports. More than 3,000 videos, maps, and content curated by educators. 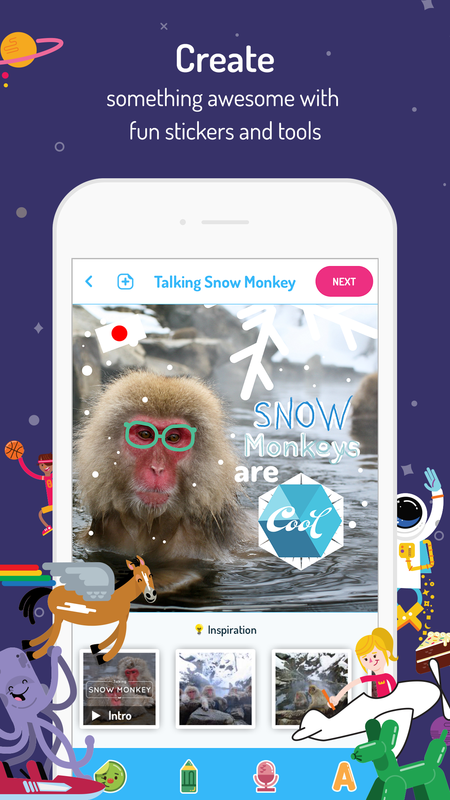 CREATE: something awesome with fun stickers, videos, photos, and drawing tools! 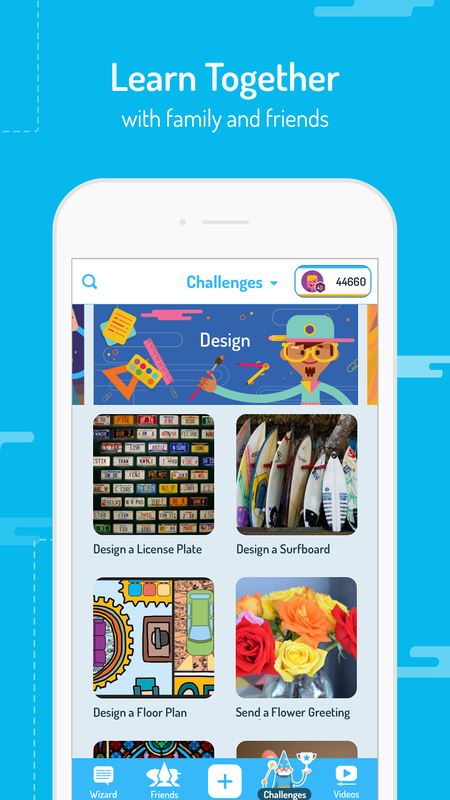 Fun Challenges designed by educators will inspire you to design, tinker, and build. Design a treehouse. Write with hieroglyphics. Make a talking president. And more! 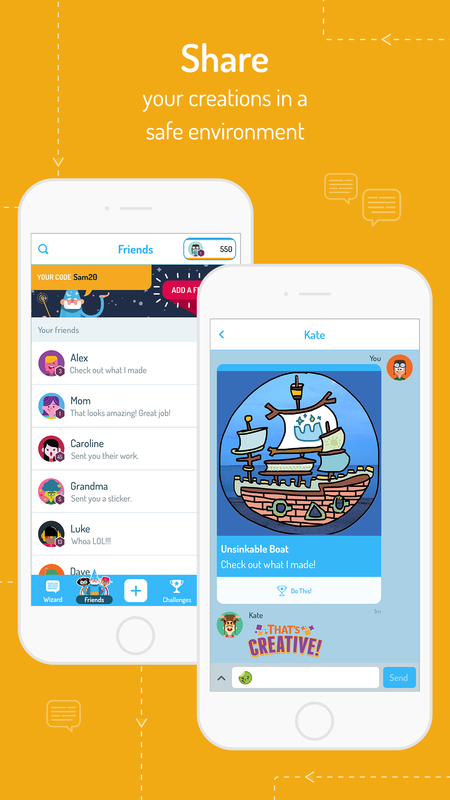 SHARE: your creations with family and friends with safe, private messages.100% controlled by parents, who can monitor everything. Parents can reply from their email and view creations on a private website. 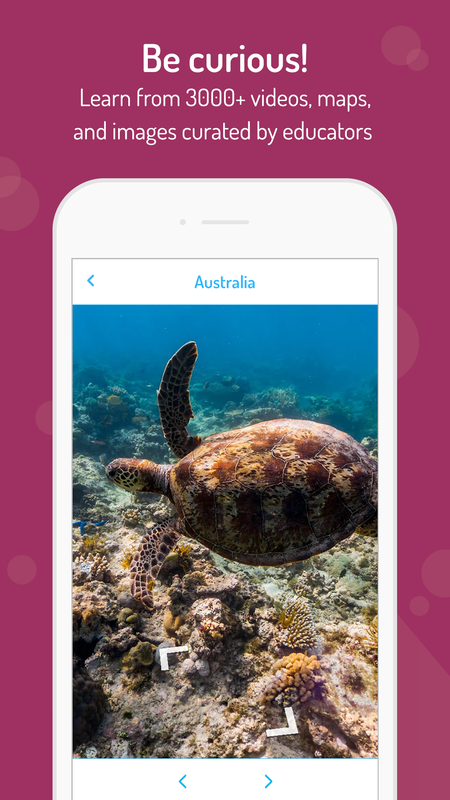 CONTENT DEVELOPED BY EDUCATORS: We developed this app with educators, who have taught elementary and middle school, specializing in science, writing, math, geography, music, sports, and design. They created and reviewed all content in Wizard School (over 3000 videos, maps, images) for all grades and ages.